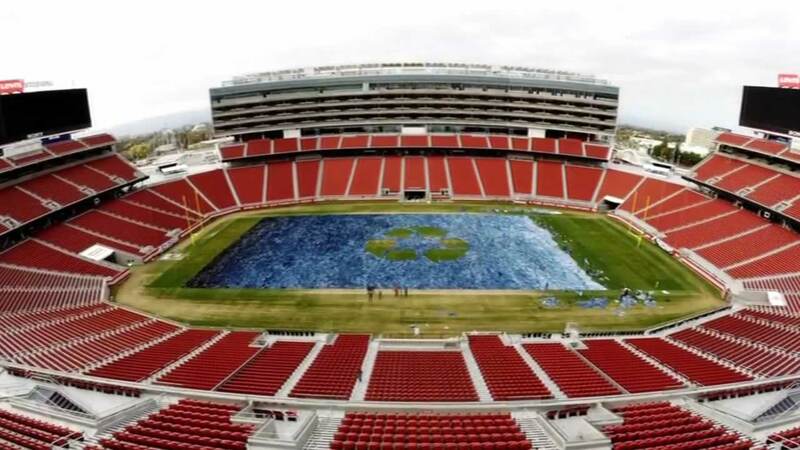 Levi's Stadium in Santa Clara was literally turned into a "Field of Jeans" for two good causes. SANTA CLARA, Calif. (KGO) -- You've heard of "Field of Dreams", but what about "Field of Jeans"? That's what Levi's Stadium in Santa Clara has been transformed into as part of a benefit for Goodwill. A team of 50 people worked more than 16 hours to put nearly 19,000 pairs of jeans on the field. The jeans are serving as both a lesson on the impact of recycling and charity work. That's because this collection of clothing will not only be spared from going to the landfill, but the sales from the jeans will go toward the Goodwill's job training program.